It’s been two months since The NVL hosted its final leg of the 2016 pro tour in Port St. Lucie. With the holidays here and fall in full swing, it’s safe to say some of us may have let our training slide. While it is so important to give your body a well-deserved rest after a trying season, we cannot stress enough the importance of maintaining your muscle and endurance during the off-season. Of course, if you’ve been out of the game for a while, you could be more susceptible to injury. Whether you are a seasoned pro or hoping to join the NVL tour for the first time come summer, these volleyball off season injury prevention tips will help you get there. It may be tempting to skip the boring warm up and jump right into your workout at full speed. This is how players get injured. If you follow even one tip in this article, make it this one. Always spend 3-5 minutes properly warming up your muscles before your workout. You can run in place, do a light jog around the court, do a few burpees, or some jumping jacks. Just find something that gets your heart pumping and your muscles warm, and be careful not to overdo it here. Move your body just enough to warm up your major muscle groups without straining. No matter what exercise you’re practicing, proper form is key. When working your abs, always keep your belly button in and contract your glutes. This protects the lower back from injury and helps you focus entirely on your abdominal muscles. Especially when lifting weights, focusing on proper alignment is extremely important. Never let your knees pass over your ankles, keep wrists in line with shoulders. If something hurts, scale back the weight. After a season of training hard and lifting big, it may be difficult to come to terms with the fact that your body just isn’t where it was before. After taking a few weeks off from training, you begin to lose muscle mass. When you’re ready to get back into the gym, don’t expect to be able to lift the same weight you once did. You’ll get there, but you have to start off slowly. Cut your normal lifting weight in half, see how it feels and build from there. Training on hard surfaces can really do a number on your joints. This is why we always prefer training in sand. Not only is it more cardio-intense, but the sand also protects joints from absorbing too much impact during jump training exercises. Take these tips with you to your next training session to prevent injuries. 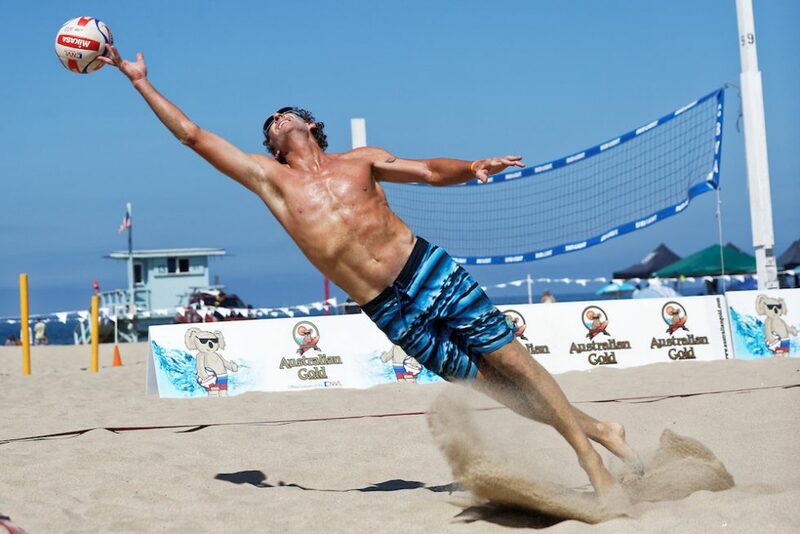 With these top tips for volleyball off season injury prevention, you’ll be feeling and performing your best come summer.